The ultimate of deception. A great actress. The ultimate of disrespect for the American people. 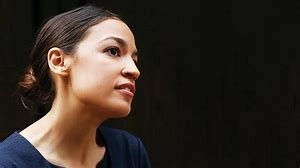 This parasite #Alexandraocasiocortez needs be remove from her suppose position, the American people command. Next story Victory! Parents Sue San Diego School District For Trying to Force Pro-Islam CAIR Propaganda on Their Kids – AND WIN!